From placing rose quartz in your bath to attract love, to putting tree agate in a flowerpot to help your finances grow, Golnaz suggests easy ways to channel the dynamic energies of crystals. Handy “crystal cocktails” and “gem-scriptions” show you how to combine the crystals to maximize their healing power, and each chapter features a “power crystal” with an in-depth look at this crystal’s properties, including links to the chakras, astrology, and the planets. 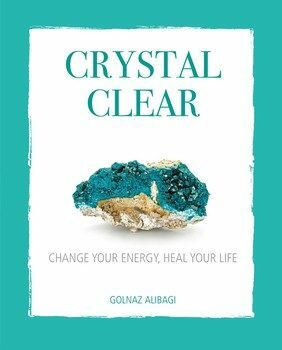 Golnaz’s easy-to-follow, practical suggestions will help you to work with crystals to change every aspect of your life for the better.